Memphis Light Gas and Water, or MLGW, has only been around since 1939, but its parent companies have been around since 1852. Today, the company serves nearly 421,000 customers making it the nation’s largest three-service municipal utility. How to apply for MLGW online is easy. Simply find the link located near the bottom, search for the ideal MLGW job, and fill out a MLGW application. The company is supplied with electricity by the Tennessee Valley Authority, purchases natural gas from transmission companies, and enjoys the unique privilege of water derived from an aquifer that sits beneath Shelby County. Since they are a large public utility company, they take their role as an environmental steward very seriously. They are the recipient of the Tennessee Conservation League’s Wildlife Conservationist of the Year award because they have programs such as EcoBUILD, Green Power Switch, and Plug-In Memphis. They also support activities within the community such as Public Education Program, Career – on – Wheels, and the employees donate over $1 million annually in goods and services. Most MLGW jobs require a bachelor’s degree plus some experience. If this sounds like you, then go and search for MLGW jobs online. In order your MLGW application to qualify, you must live in Shelby County or plan to move into the Shelby County area within six months of being employed. There are many MLGW jobs available. A bachelor’s degree is a basic requirement for all listed positions. Some examples of open positions are Distribution Design Engineer, Natural Gas Transmission and Distribution Engineer, Work Management Engineer, and Business Process Engineering Supervisor. There are other MLGW careers that still require a degree but are not centered on engineering. Those positions include Computer Software Specialist, Customer Accounting Intern, and Technical Support Supervisor. The company offers a very competitive yearly salary and great benefits. How old do you have to be to work at MLGW? You must be at least 18 years of age or older in order to qualify for an internship at this company. Once you have been hired, the company offers a very comprehensive benefits package. Some benefits include Credit Union, Employee activities and recreation, tuition assistance, retirement pension plan, paid holidays, sick days, vacation days, and up to 4 bonus days off per year, medical and life insurance. 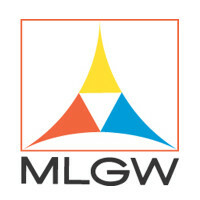 Though the company does not have a printable application to download, you can go in person to apply for jobs at MLGW through the computer-based kiosks found in the Administration Building. They are open Monday through Friday from 8:00 am until 4:00 pm. Electronics Communication Technician – The main responsibilities of the Electronics Communication Technician is to install and maintain company radio systems and video recording equipment. Other responsibilities include operating infrared scanners to check for unusual heat signatures and locating and repairing electronic interference. Medium salary for this position is near $42,000. Lineman – The Lineman constructs and maintains the company network of power lines and electric cables. Pay is in the form of an hourly wage close to $31.00 per hour. Energy Engineer II – This role is an intermediate position that will provide technical and engineering assistance to the company’s largest customers and other entities regarding supply issues. Other duties include evaluating the economic impact of implemented recommendations. Customer Service Technician I – This is an entry level position responsible for reading electric, gas, and water meters within Memphis and Shelby County. Other responsibilities include entering readings into mini-computers, reporting all dangerous or damaged meters and developing and maintaining good customer relations. The following questions are examples that may be asked during an interview for a position within this type of industry. Was there a person in your career who really made a difference in your life? This question allows the interview to figure out how you chose the career path that you are on. Can you describe the most rewarding moment in your career thus far? You can use this question to show off any awards or positive feedback that you may have accomplished, or situations where you went above and beyond the call of duty to help another person. What are some of the challenges that you foresee in the energy industry? This question is asked to find out what type of forward thinking you possess and what ideas you have to overcome the challenges that you may see. What made you decide to have a career in the energy field? This is a good time to talk about what passions that you have, what motivated you in the past, and what motivates you now. If the United States became energy independent, how would it affect the rest of the world? This type of question is to test your understanding of how energy not only affects the local populace, but also how it affects the world in general. Energy is a huge part of economics and it’s important that you understand the pros and cons to using the different types of energy that are available. Part of the application process is to register in order to apply for jobs. Please follow the written instructions found on the website in order to register. Once you have registered and logged in, you can begin your job search. Make sure you update your resume before completing the online application. You will want to prepare for your interview by researching the company and position; compile a list of questions to ask the interviewer. You will also want to gather any certifications, degrees, or awards that you have achieved to bring with you. You should dress professionally and be aware that your interview will be with a three person interview panel. Make sure you are rid of all distractions including your cell phone. Greet each interviewer, smile and make eye contact. Use good posture but also be relaxed; you should answer all questions concisely using previous work history in your examples. At the conclusion of the interview, thank each interviewer for his or her time and for considering you for the position. If possible, mail a note of thanks as this will keep your interview fresh in their minds. It generally takes about a week to find out a decision, but if you haven’t heard anything, don’t be afraid to follow up. Manpower: For career opportunities, fill out the Manpower online application. Holland Board Of Public Works: Use the Holland Board Of Public Works job application to apply here. Delmarva Power: For career opportunities, fill out the Delmarva Power online application. Kansas City Power & Light: See our resource page for more information on Kansas City Power & Light careers. Comed: Use the Comed job application to apply here.